DFRobot FireBeetle series is the low-power consumption micro-controller intentionally designed for Internet of Things (IoT). The series micro-controllers aims at IoT node of low-power consumption, attending to build the IoT hardware platform quickly and conveniently. 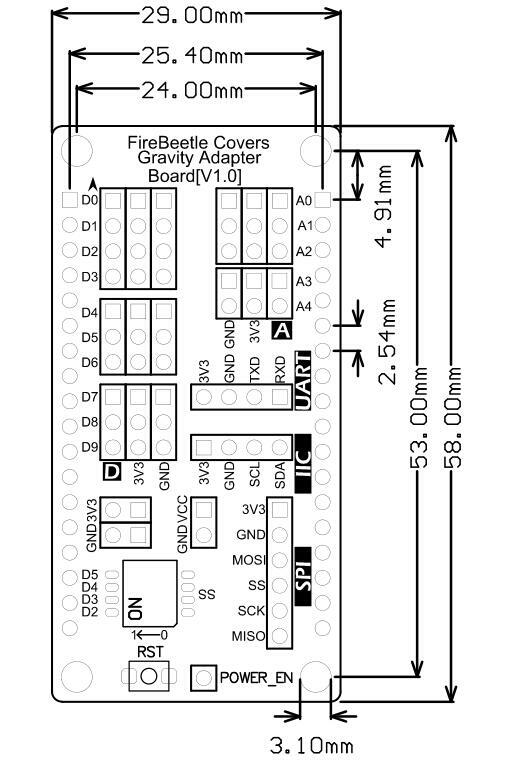 There are three types of FireBeetle, containing Boards (main control), Covers (expansion boards) and related Accessories. 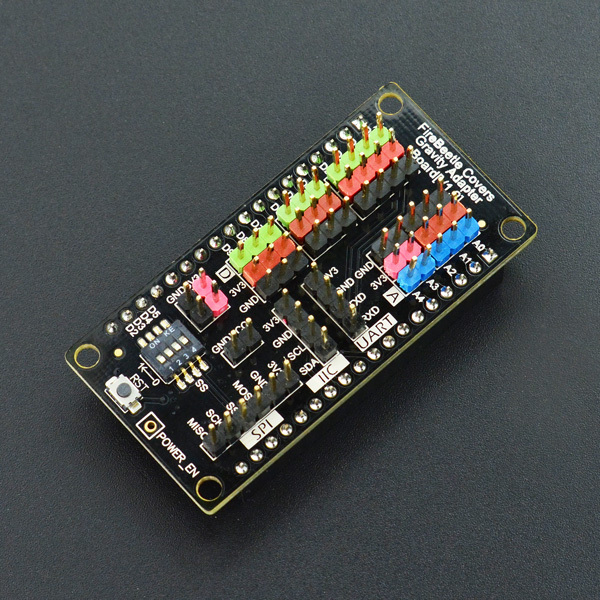 FireBeetle Covers-Gravity I/O Expansion Shield is an adapter for Gravity sensors and modules. With this shield, you can achieve convenient connection between Gravity sensors and FireBeetles. 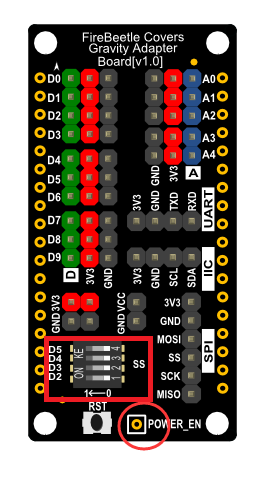 Every sensor will have its independent power pins. Get FireBeetle Covers-Gravity I/O Expansion Shield_SKU DFR0483 from DFRobot Store or DFRobot Distributor.